Today, August 5, 2014 marked my 4th anniversary in New York. As the first and only member of my immediate family to migrate and live in the United States, I decided to visit Ellis Island – the gateway for millions of immigrants during the late 1800s and early 1900s – in a quest for enlightenment and inspiration. 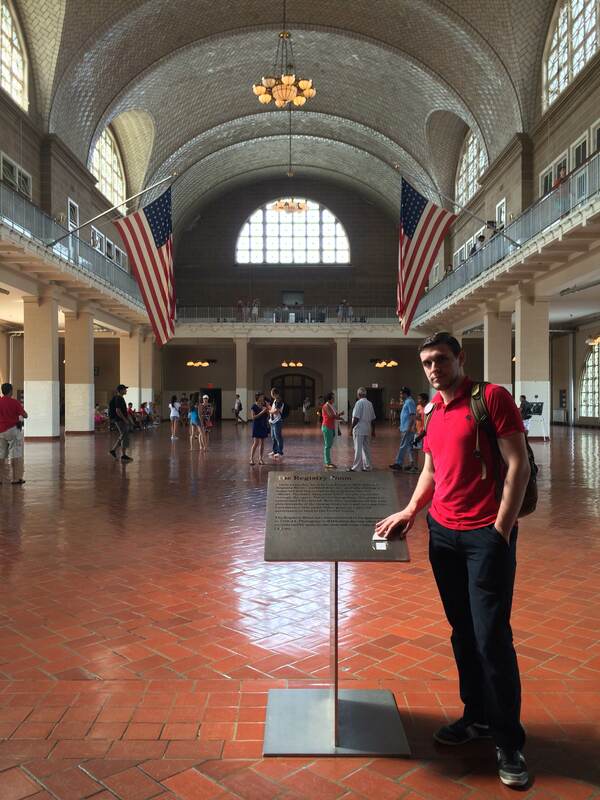 Upon arrival, I entered the Ellis Island Immigration Museum, part of the former immigration station complex. Through its lavish photos, historical evidence, interactive displays, and artifacts, the museum reflects on the moving tales of the 12 million immigrants who entered America through Ellis Island and whose descendants account for almost half of the American people. While inhaling all this information, I fell into a nostalgic state of mind, asking me to assess my own journey and its value. As many other immigrants, I moved to the United States at the age of seventeen by myself with dreams, hopes, and in search of better educational opportunities. While soon after my arrival, I realized that as an immigrant I would be facing numerous hardships – barrier of language, income, and network – it also became clear that New York had gifted me with endless opportunities and a chance to test the limits of my potential. New York inspired me to dream of the impossible and then aspire to make it reality. And as I look back, I realize I have done just that. In a four-year timeline, I had the chance to exchange correspondence with the President of United States, meet in person a former Secretary of State, a former Secretary-General of the United Nations, current ambassadors, and Supreme Court justices, attend lectures from current and former CEOs of Fortune 500 companies, study under renowned scholars and work for one of the most prestigious law firms in the world. And what I find more interesting is the fact that I am constantly inspired to aim higher; as if the echo of noises in this city is a drug for my ears – it reminds me that I am an urban immigrant striver with the potential to achieve greatness and earn the remembrance of posterity. Here was my city, immense, overpowering, flooded with energy and light,….The world, at that moment, opened before me, challenging me, beckoning me, demanding something of me that it would take more than a lifetime to give, but raising all my energies by its own vivid promise to a higher pitch. One of my photos at the Ellis Island Immigration Museum.